That title just jumped into my head. And since I hate trying to think up something, I went with it hoping it might grab someone who normally doesn't come over to the dark side. News is Nocturne is on sale (ebook, of course) for $0.99 from August 8-14th! Nocturne, Sabrina Strong's third adventure in the series is, what I like to refer to as my "steampunk" novel. If you enjoy that genre, you may like this one. I enjoyed writing it, so different from the others, but it certainly creates more delemmas in Sabrina's life. And it sets her up for the 8th novel. In case anyone questions my reasons for writing it. I actually don't need to defend it. I write fantasy. When Sabrina's cousin Lindee goes missing, it's up to Sabrina to find her. She fears that vampires are at the root of things... and soon finds out that it's not only that, but much worse. Beyond the Black Veil vampires outnumber humans ten to one, and people are merely blood donors and objects of the vampires' sexual desires. It's here where Sabrina encounters Drakulya, the Impaler, who has managed to not only become a vampire, but lives in this strange world and rules as king. With the Dagger of Delphi Sabrina will face the Dreadfuls - merciless stalkers and killers. With her is also the stone containing the spirit of Dante Badheart, and more mysteries surround this magical artifact as well. 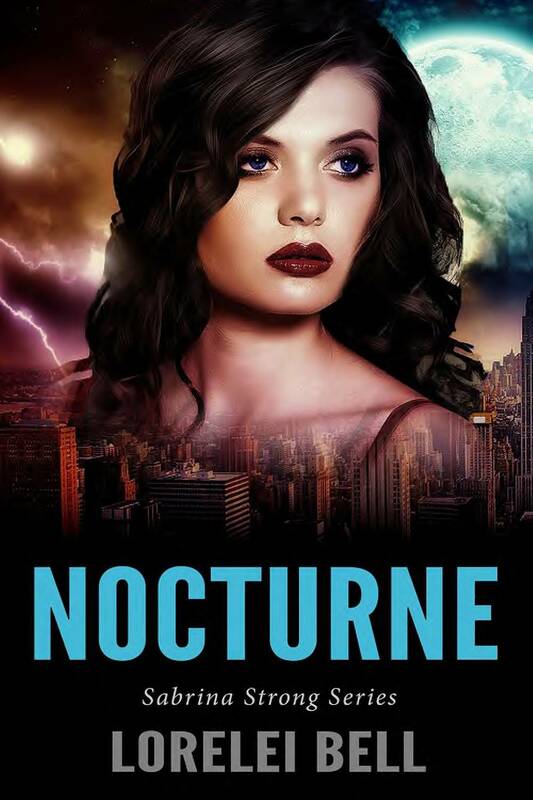 Nocturne is the exciting third book in the Sabrina Strong paranormal romance / urban fantasy series. Well, thanks for stopping by, and if you have read it and enjoyed it (or are about to), be kind and write a nice review for it. Thanks! I hope the sale goes well. That is a catchy blog title!